Apply a small amount as a thin layer on the affected area twice daily. Daily use of a sunscreen or sun avoidance is recommended with use of this AHA product, and for one week after to minimise the risk of sun sensitivity/sunburn. Suitable for all skin types. 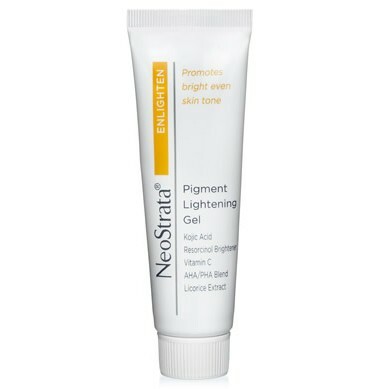 Brighten, exfoliate and smooth discoloured skin while stimulating epidermal renewal to reveal brighter, newer cells. This Gel is a highly effective complexion booster formulated with a skin-renewing blend of anti-ageing Polyhydroxy and Alpha Hydroxy Acids (PHAs and AHAs) - including Glycolic Acid, Lactic Acid, Citric Acid and Gluconolactone - along with skin brighteners including Kojic Acid, Vitamin C, Mulberry Extract, Bearberry Extract and Liquorice. These botanical brighteners work in harmony to help fade discolouration, banish dullness and promote cell renewal to reveal a new radiance. This oil-free gel is dermatologist developed and can be used on the face, back of hands or chest and works well under moisturisers, sunscreens and makeup.